A new take on an old classic! 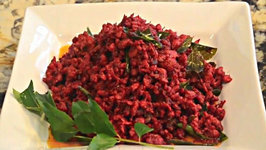 Bringing the flavors of spices, curry leaves, garlic and ginger etc to ground chicken. 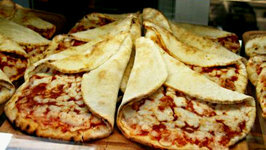 Feel like a pizza, but have no time or patience required to prepare the base? No worries! These interestingly topped Whole Wheat Tortilla Wedges are easy to make and ..
We've all had burgers at our favorite joints in the past, not considering their nutritional value but just enjoying them for their taste and simply giving in to the ..
Not many try making biryani with ground meat, but today I went ahead and tried that. 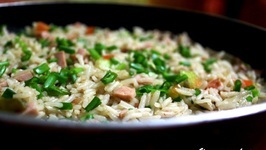 If you are looking for a quick yet very tasty one dish meal, this will surely be more .. In Chinese cooking, garlic is used abundantly. 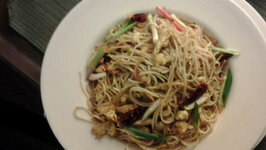 And, here is a simple, classic recipe of the Chinese kitchen, which is now a popular take-out dish. 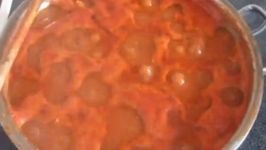 Soft chicken pieces in strongly flavored red gravy. 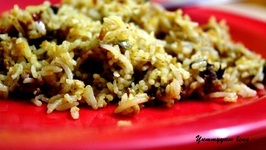 Spicy and aromatic made specially on holidays or Sundays for feasting. Looking for a simple one dish dinner entry? Something semi-oriental? This simple recipe can come handy on extremely busy days or when those thick pals show up for ..
Succulent pieces of chicken accentuates the brown rice flavor and tastes divine with spinach yoghurt. 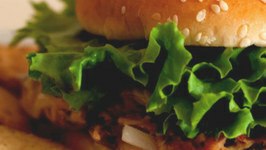 Complete meal in every sense, providing almost all the essential nutrients. 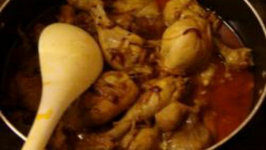 A classic creamy and rich chicken dish. 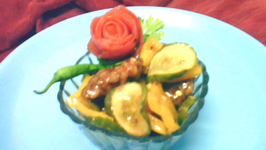 This dish is rich in terms of taste, feel and texture and definitely a dish which will be savored by food lovers. 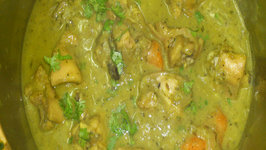 Curry Chicken is a very common delicacy. 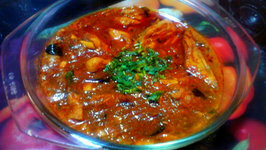 A typical chicken curry consists of chicken cooked in an onion and tomato-based gravy, flavoured with ginger, garlic, chillies .. 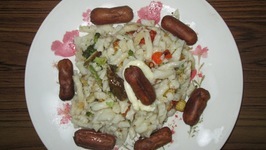 This is a Caribbean Patee Fusion Recipe. Adding some Caribbean flavours into traditional recipes. 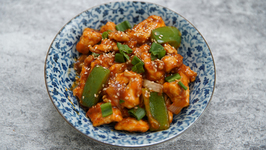 Here we have chili made with ground chicken, spices, vegetables and ..
A saucy, spicy and sweet appetizer for all those weekend parties or a very good treat to go with a cold glass of beer! 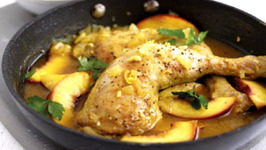 This classic chicken curry is high in Protein and low in Fat. While trying it out without clarified butter for the first time, I found that using coconut oil retains as .. 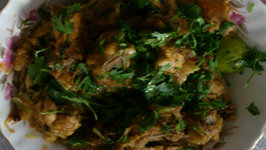 This delicious chicken fry dish is relatively easy to make and is often a part of the menu in various cuisines. 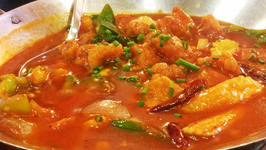 This popular Indo-Chinese dish is very easy to make and deliciously spicy. 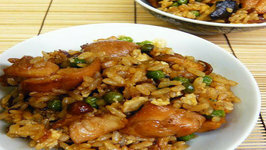 Usually this dish is prepared using boneless chicken, but chicken with bones may also be used. 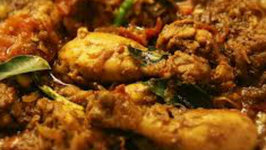 Chicken thoran is a very popular chicken dish from Kerala. 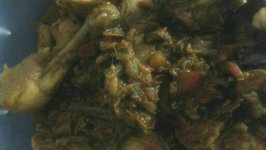 It is prepared by cooking boneless pieces of chicken with traditional spices and coconut. 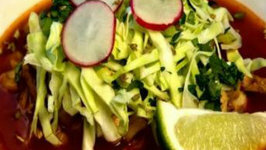 Give this Chicken Pozole a try. A great soup recipe to keep on hand when you're feelin' like something spicy.